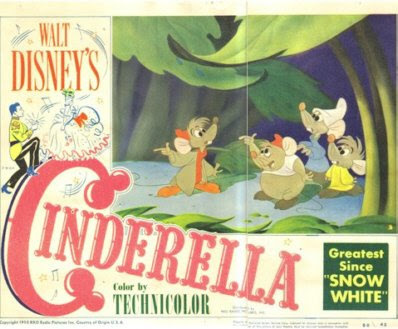 The inspiration I find from classic or "vintage" Disney memorabilia is endless, I adore classic Disney work and movies, "Cinderella" being one of the films I adore. I thought the two advertisments shown below were interesting and inspiring if not unusual. 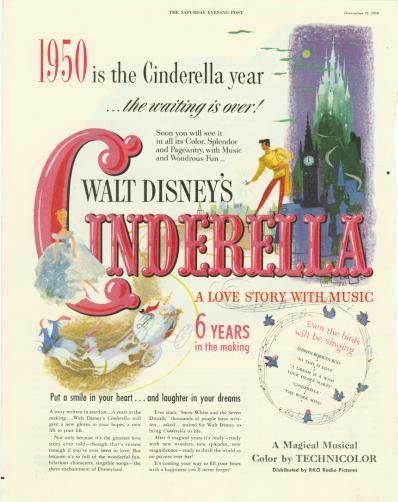 The title "Cinderella," looks almost what we would describe today as "bubble-letter."